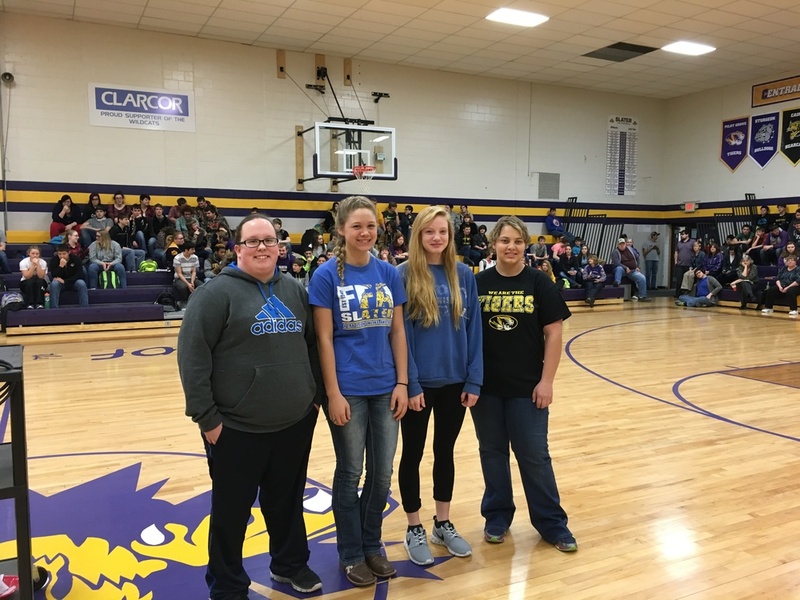 Slater High School is proud to announce the 2016 Missouri Girls State Delegates - Mickayla Miller, Elizebeth Johnson, and Caitlyn Clements are delegates, and Annie Baker is an alternate. The girls were chosen for their scholastic achievements, strength of character, and interest in Missouri Girls State. "This is a fantastic opportunity, and we're very grateful to the Slater organizations that made it happen," said Slater High School Counselor Jessica Clements. The girls' registration fees are being paid by the Slater Lions Club, Slater Chamber of Commerce, Exchange Bank of Missouri, Slater VFW, Slater American Legion, and the Slater Ladies Auxiliary.